Do you find it’s hard to get going in the morning? Having trouble deciding on a quick but healthy breakfast option? Are you getting in your 5 fruits and vegetable servings a day? 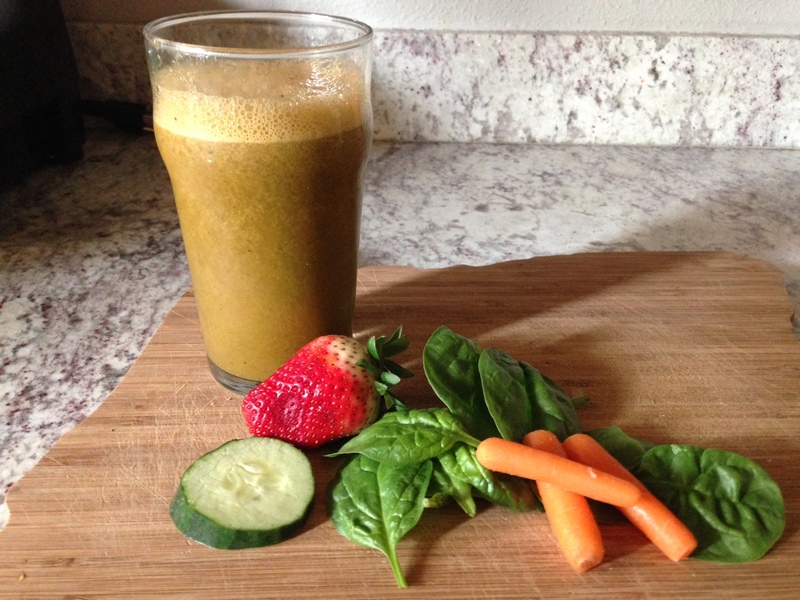 This vitamin packed smoothie will accomplish all your goals in just a few gulps! The Super Boost smooth will blast your cells with the nutritional and healing components they need to function optimally, all day long! Your kids’ll love it too! You can also use frozen organic spinach and/or frozen organic strawberries in lieu of ice if it’s easier! It’s basically MAGIC powder! (kidding of course) but it’s touted to increase energy, vitality, libido, and more. Knowing you and your penchant for excellent research you’ll have great info to share! Sounds like a post partum woman like me could use some of that jazz.